As usual, Budweiser (the King of Beers!) was back in the Big Game on Super Bowl Sunday, 2018. Like last year, Budweiser used on a tear-jerker ad to capture America’s attention. This year, however, it was a bit less political. The 2018 Budweiser Super Bowl commercial, called “Stand By You,” sharred with America some of the ways that Budweiser gives back to the American people. After natural disasters like hurricanes and floods, Budweiser fills thousands of beer cans with clean, clear drinking water, and then distributes it to people in need. From Texas and Florida down to Puerto Rico, Budweiser has lent a hand when tragedy struck. Budweiser’s LI Super Bowl ad was also emotional, but it was also quite political. 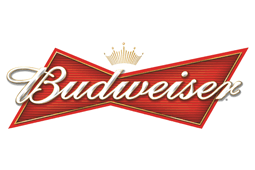 In 2017, Budweiser aired a controversial, yet touching commercial recounting the story of Adolphus Busch, founder of Anheuser-Busch. The ad took three days of filming to complete and was directed by Chris Sargent. The brand hoped that the new ad, which cost in the tens of millions of dollars to shoot, produce and air, would make a significant impact in increasing sales. Feeling nostalgic for furry little friends? In need of a lighter Super Bowl ad? Here’s a look back at one of Budweiser’s amazing puppy ads from Super Bowl XLVIII. Who will ever forget the 2015 Budweiser Super Bowl ad, #LostPuppy? Want More? Check out all the Super Bowl 2018 commercials!